It’s been a busy week, and I can’t believe how quickly it got away from me! So in lieu of anything groundbreaking over here, I’m opting to share a few pretty little things that have caught my eye lately. I love the punny nature of the east coast coasters, and for some reason the bunny ear clock gives me a giggle too. 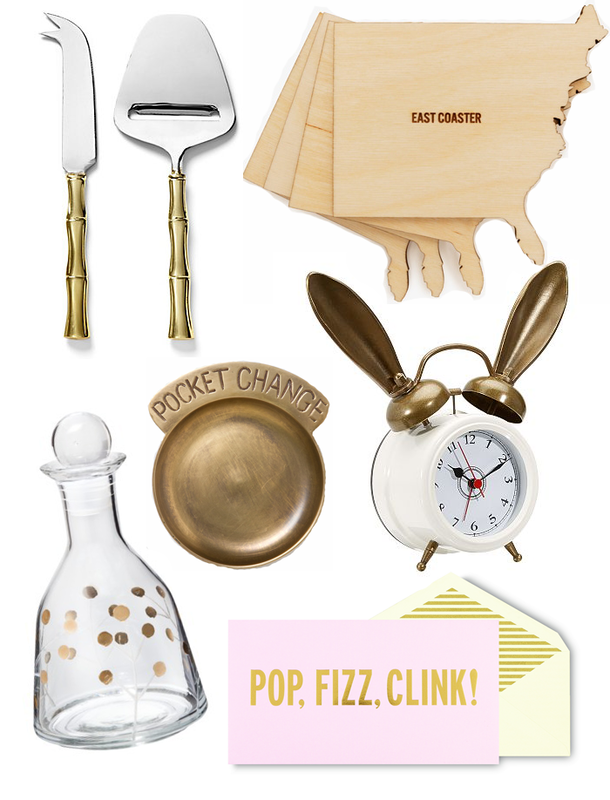 I’m loving the brassy accents on that decanter (hello, from target! what a steal!) and the cute cheese knives and spare change dish. The Kate Spade holiday cards were too cute to pass up, I ordered a box to use for various celebrations, and plan to frame one of them to hang above my new bar cart! Apple Cider Sangria. Homemade Applesauce.